All New, Resale and Rental homes that have a private well for drinking water must have their well water tested before they can be occupied, sold or rented. 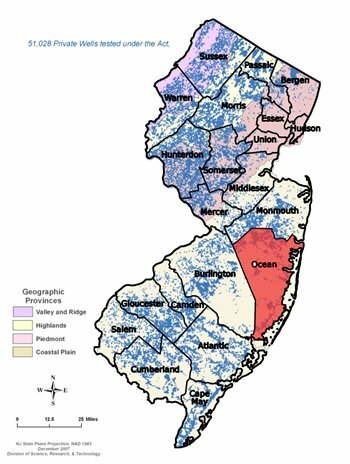 A laboratory certified by the New Jersey Department of Environmental Protection (NJDEP) must sample and analyze the water in accordance with Ocean County Board of Health Ordinance 94-1. This law requires specific testing of the well water for a variety of contaminants and chemical parameters (set forth in section 8A of the ordinance). Wells that require testing fall under 3 categories: (1) Resales, (2) Rentals, and (3) New Wells.